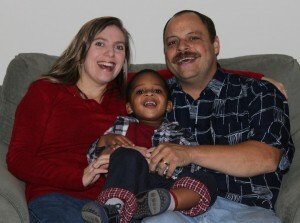 “As most of you know, we are in the process of adopting our second child from South Africa. We recently found out that our stay in country has been extended to at least six weeks. We have moved into savings mode and are trying to raise funds to cover the additional costs that will be associated with the extended stay. We met artist Roxane Tracey at one of the summer festivals in London a few years ago, and immediately fell in love with her work. She has agreed to work with us on a fundraising venture – which we so appreciate. Roxane has agreed to donate partial proceeds of the sale of art pritns and cards back to support the Paynes Adoption Travel Fund. Mainly – because it speaks to Andile’s birth culture. It is so important to us for him to have a strong connection to his beginnings – and we want him to grow up to be a strong, caring man – comfortable and proud of his South African Heritage. We hope you enjoy her work as much as we do. It’s easy to support the cause. Click here to view Roxane’s collection of unique prints and art cards. When you are checking out just select: GrowingPaynes as the referring organization from the drop down menu in your shopping cart. Please pass the information along to as many people as you think might be interested! You can also read more about our story.